Add some chic and fashion to the exterior of your house: make it attractive and memorable! Make your house stand out from the crowd: add individuality and distinctive accent, take advantage of the Decorative Architectural Shapes Keystones. If you care about the look of your house you may wish to add Decorative Architectural Shapes Keystones or other decorative architectural elements that will refresh the look of your property. Use your imagination and take advantage of our useful tips while choosing the practical and elegant Decorative Architectural Shapes Keystones. Perhaps you feel as if your renovations are lacking and require a more stylish element. 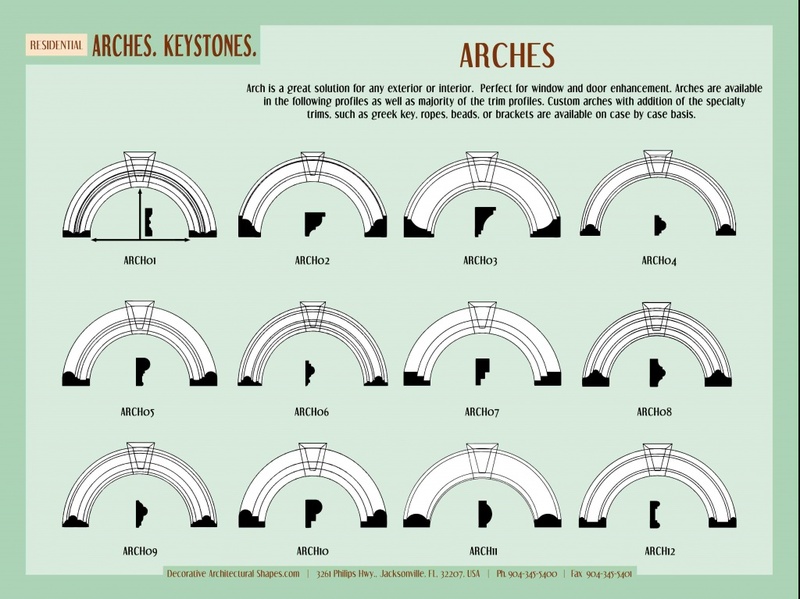 Keystones can provide this much-needed element for various architectural structures. 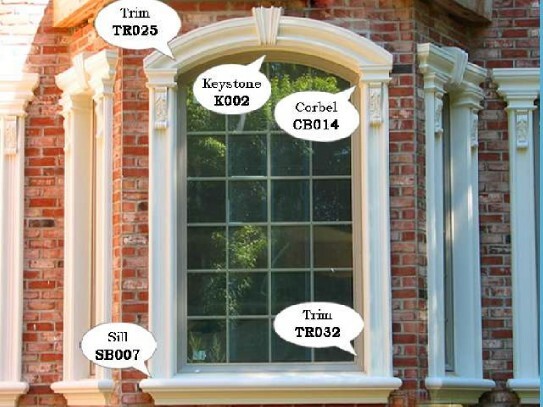 Consider supplementing your bare arches, dull windows, or empty corridor entrances with your very own custom Keystone. Decorative Architectural Shapes provides custom solutions to all these problems at an affordable cost. At some point, many homeowners and business owners seek to refresh the architectural integrity of their property. One detail that is overlooked is a keystone. Positioned at the apex of an arch. Typically, over windows, doors, corridors, and hallways. Before keystones could be fabricated out of foam, they had to be molded either from stone or wood. This was very difficult to do, time-consuming, and was very costly. Thanks to the technological wonder of high-density EPS foam, it is no longer as strenuous and expensive to create the keystone that you want. 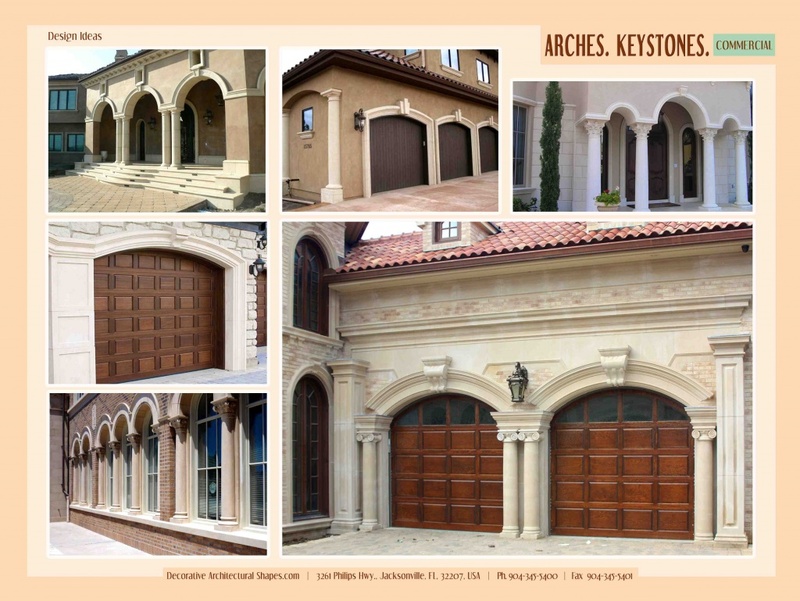 Decorative Architectural Shapes specializes in crafting custom architectural accents which include keystones. Our keystones combine the durability of stone with the cost-effectiveness of high-density polystyrene. 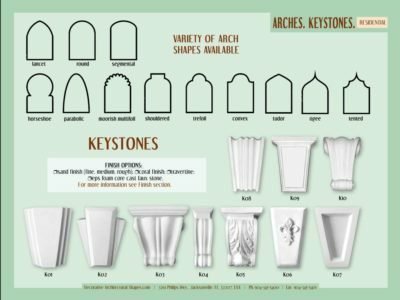 Take advantage of the opportunity to create your very own keystone design. Decorative Architectural Shapes products are ideal for new constructions and renovations alike. To quickly receive a quote, please give us a call. 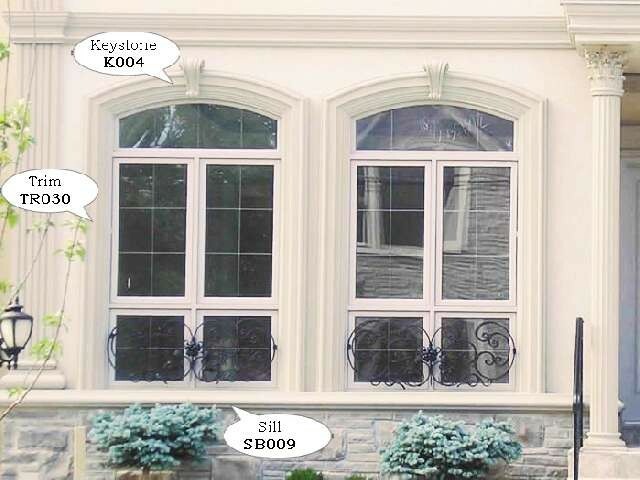 If you’re searching for beautiful and stylish architectural keystone which combine durability with a timeless good look, Decorative Architectural Shapes is the right place. Take your time and browse our comprehensive collection of architectural Decorative Architectural Shapes Keystone products alongside with Decorative Architectural Shapes stucco trims, stucco moldings, stucco cornices, decorative moldings, exterior window trims, etc. giving it a fresh look and feel. You can choose a pattern of Decorative Architectural Shapes Keystones that will blend finely with your decorating ideas or one that accents the whole house. 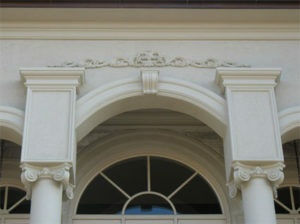 Decorative Architectural Shapes has many sizes that can be coped to accommodate our arches, pediments and window heads. 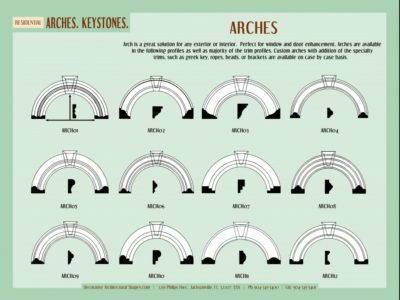 There are four major parameters to consider while choosing the right keystone architectural products: size, shape, quality, and design. 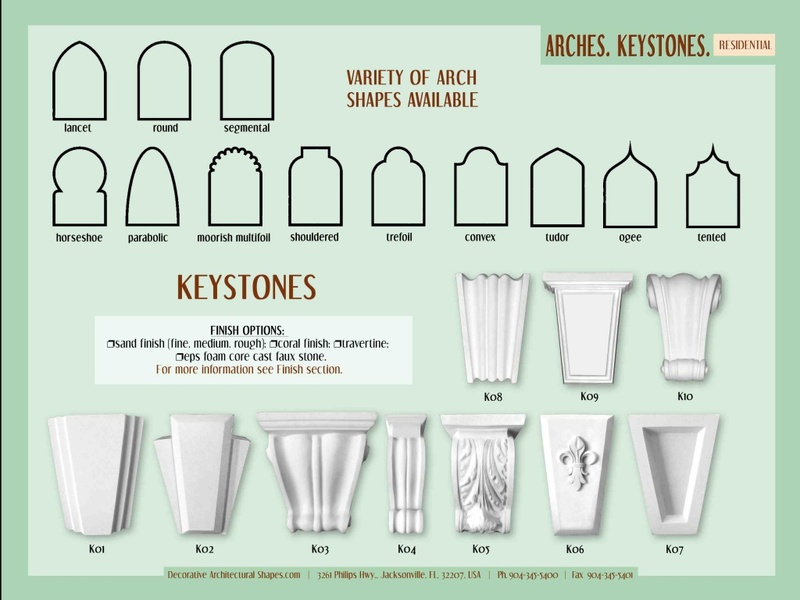 One look at our online collection of Decorative Architectural Shapes Keystones will give enough ideas to delight any decorator. With a little patience and the right Decorative Architectural Shapes Keystone the process of exterior decoration can be a very rewarding and enjoyable experience.